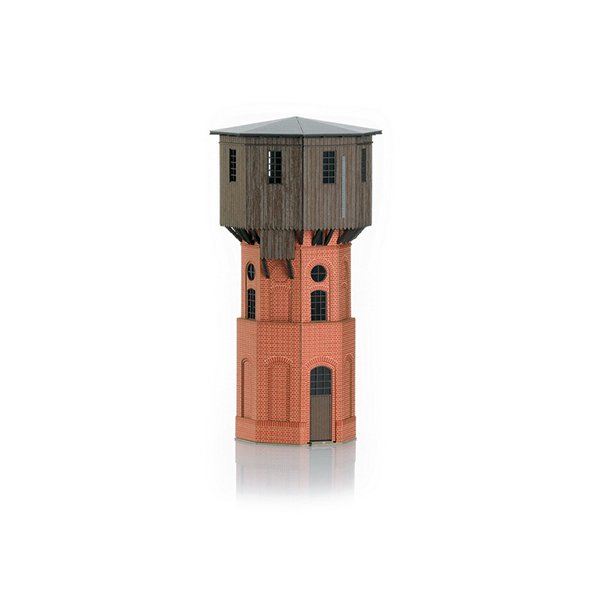 Prototype: Prussian standard design water tower as is still present in part today. Model: This is a building kit made of laser-cut architectural solid board that is already colored. It has very fine, laser-engraved details. Extensive instructions are included. Dimensions: approximately 45 mm x 45 mm x 91 mm / 1-3/4" x 1-3/4" x 3-9/16". (L x W x H)approximately 366 mm / 14-3/8".